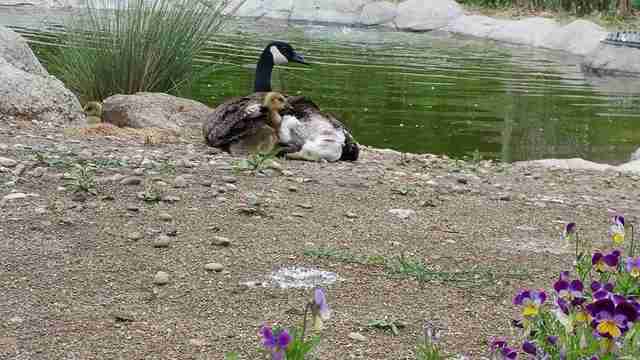 This sweet mother goose lost nearly everything, but what she does have, she still gives freely. The bird was discovered in early May, clinging to life amidst a heartbreaking tragedy. 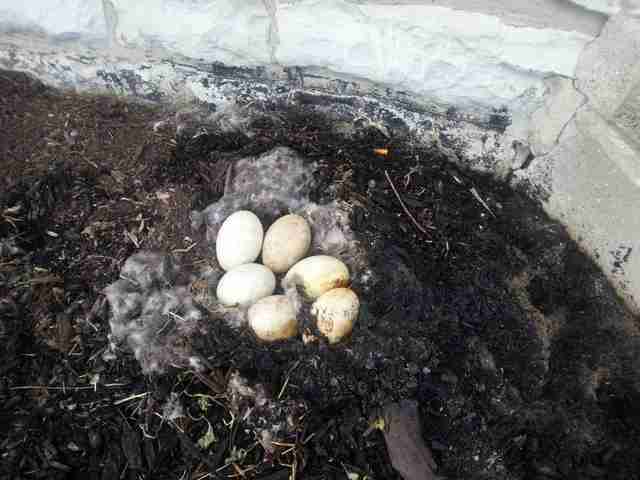 Her nest, containing six eggs, had been set on fire by a cruel stranger, but she did not flee. As the growing flames rose and spread around her, she sacrificed her own safety in an astonishing attempt to shield them from the blaze. 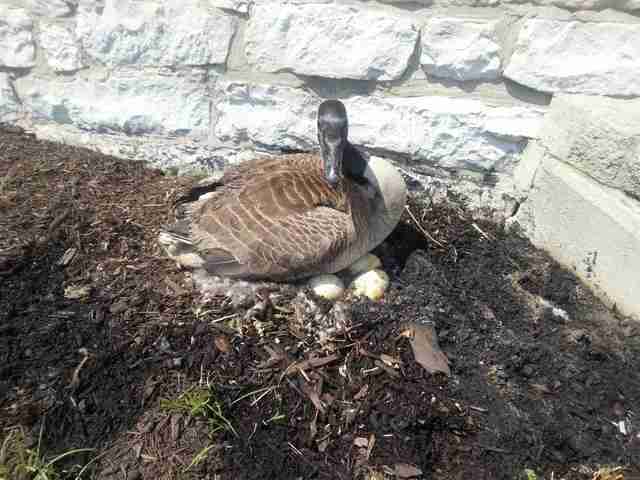 Sadly, despite her efforts, the goose's eggs all ended up being damaged. Rescuers from Back To The Wild rehabilitation center, where the goose and her unhatched babies were sent, did their best to give the eggs a fighting chance to recover, but the heat from the fire made them unviable. 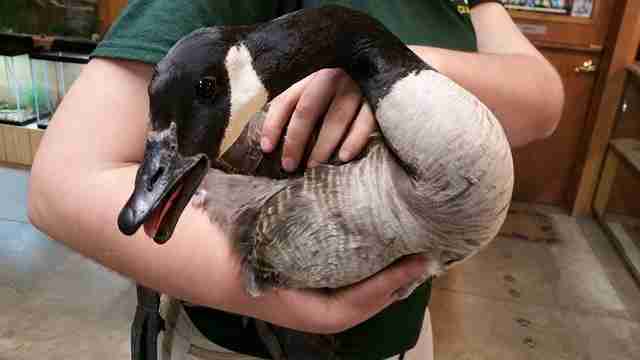 The devoted mother goose had suffered injuries that needed tending to as well. Sitting so long in the fire in defense of her young had left her tail and flight feathers badly scorched, which meant she would require months of care at the center before she could be released back into the wild. Without the eggs she'd fought so hard to save, the mother goose seemed destined to face her long road to recovery alone. But although the goose's body had been broken and her offspring lost, rescuers soon learned that her ability to love was still intact, even in her sad solitude. The goose's unfulfilled maternal instincts no doubt lingered as a heavy burden on her spirit, but the vacancy left by the death of her eggs ultimately allowed the opportunity for something beautiful to take place. 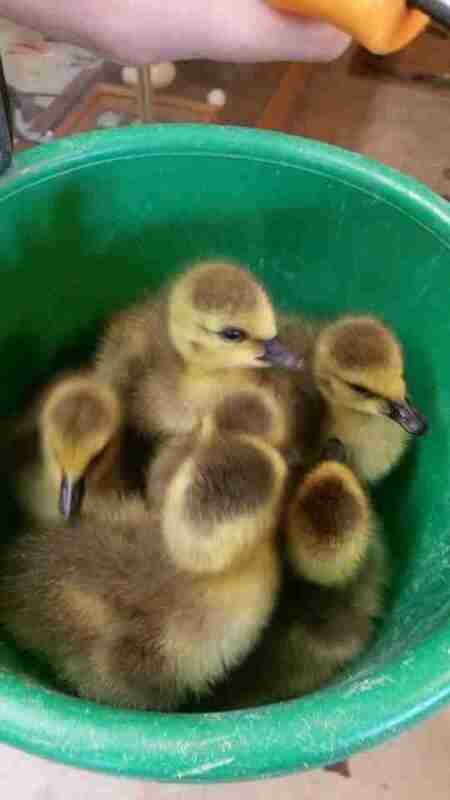 A few weeks after her arrival, the rehab center rescued six adorable goslings who had lost something too. The feathered youngsters were orphaned and in desperate need of a mother figure to guide and nurture them through the delicate first stage of their fragile little lives. The rescuers weren't sure how the heartbroken goose would react upon being introduced to the needy babies, but her dedication to rear young had clearly never faded. 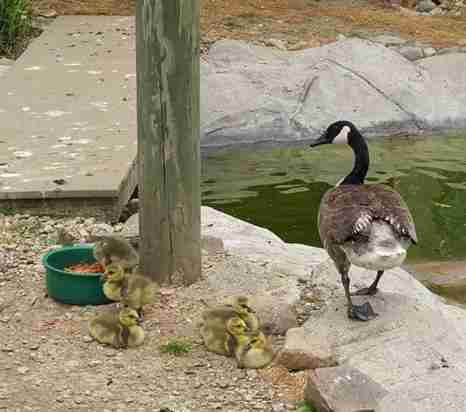 "As soon as we put these precious babies out with her in our wetlands habitat, this mother goose got right to herding them up and protecting them from...US!" writes Back To The Wild on Facebook. "Look who is living up to her reputation as a great mom!!" It's been a long, heartrending road so far for this mother goose, having been forced to endure physical and emotional pain most would find unimaginable. But in spite of all she's been through, she never lost hope - and for that, a whole new generation of geese has a chance to grow and thrive, comforted beneath their adoptive mother's wing.Facebook/Back To The WildOnce she's healed completely, the rescue center plans to release this goose back into the wild, along with the six youngsters she's embraced as her own. It's been a long, heartrending road so far for this mother goose, having been forced to endure physical and emotional pain most would find unimaginable. 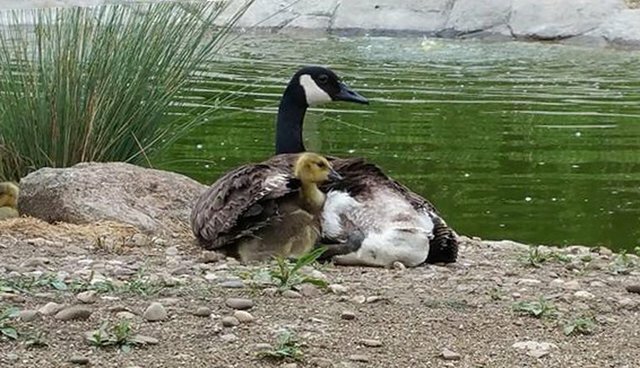 But in spite of all she's been through, she never lost hope - and for that, a whole new generation of geese has a chance to grow and thrive, comforted beneath their adoptive mother's wing. 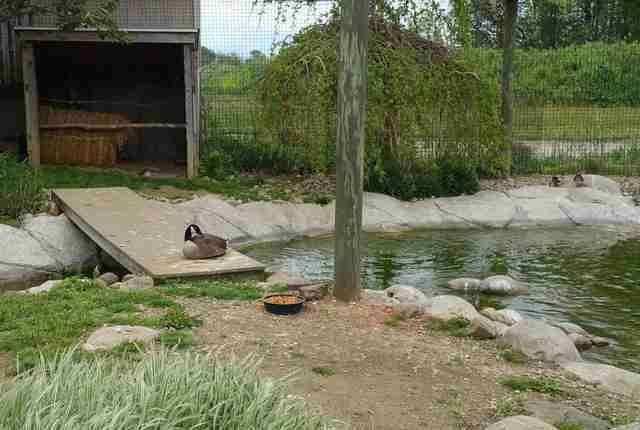 Once she's healed completely, the rescue center plans to release this goose back into the wild, along with the six youngsters she's embraced as her own.